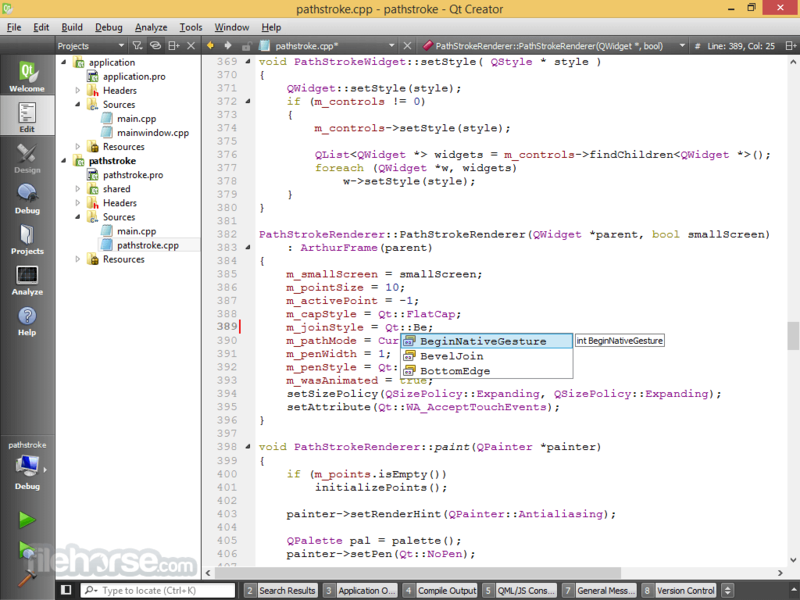 Qt Creator 64-bit is a complete integrated development environment (IDE) for application developers! 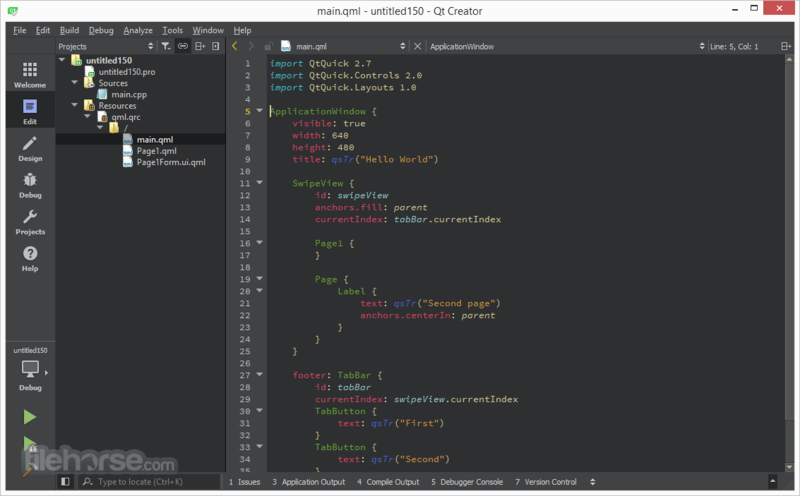 Whether you are creating a mobile app, desktop application or a connected embedded device, Qt Creator is the cross-platform IDE that makes application and UI development a breeze. Since time-to-market is key, the IDE includes productivity tools that speed up your development time. Fully-stocked cross-platform integrated development environment for easy creation of connected devices, UIs and applications. We believe that delivering connected devices, UIs and applications that meet and exceed end user demands takes more than just clean code. You can’t live on intuitive and comprehensive APIs alone. We want you to be able to not only code, but to also design and create. You’ve surely heard us say “code less, create more”? Well, this is where “create” comes into play. Qt Creator Free Download Latest Version for Windows PC. It is full offline setup installer of Qt Creator.